The Vit. C content of one tiny Acerola cherry is 65 times higher than what is found in an orange The cherry contains anthocyanins – substances which are highly anti-inflammatory in nature. 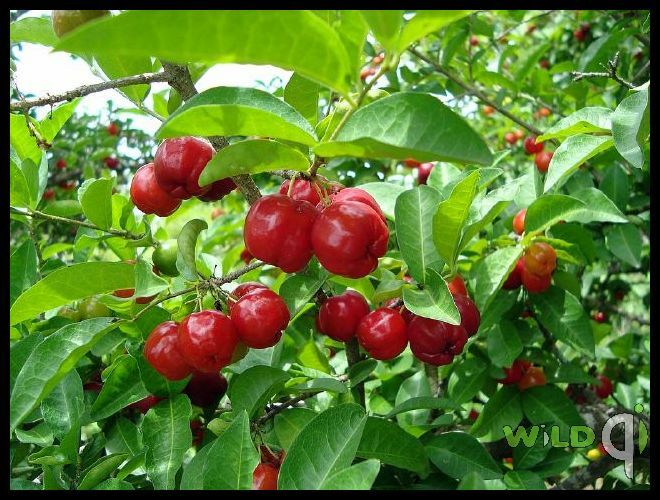 Eating an acerola cherry may have a similar effect as taking ibuprofen or aspirin for headaches.• Thanks to its extremely high Vit. C content, the cherry can help boost your immune system, strengthen your liver, improve your skin condition, and increases your body’s ability to repair tissues quickly. It also helps you prevent colds, infections, and dental problems. The cherry contains substantial amounts of Potassium and Magnesium. 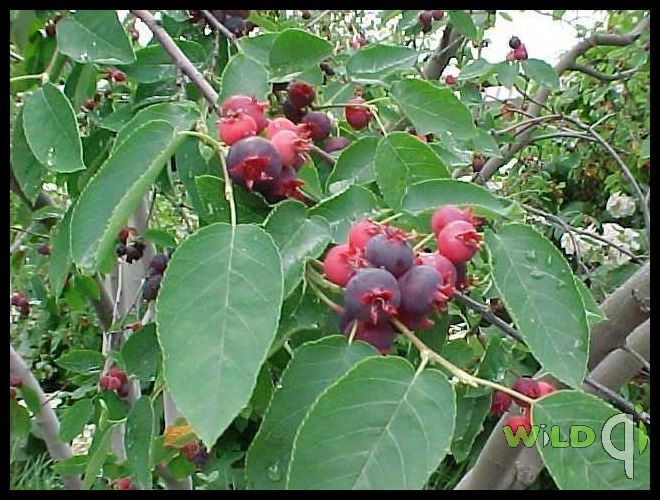 Acerola has been used for relieving the symptoms of dysentary and diarrhea to good effect. • The main benefit of acerola is that it is an excellent source of many useful antioxidant compounds, these beneficial compounds are the agents responsible for the maintenance of proper mental functioning and may help prevent the onset of dementia in different individuals likely to be affected by Parkinson’s disease. At the same time, further clinic based research points to the fact that the acerola can be very helpful in maintaining the correct levels of all available Vit. C within brain tissue. 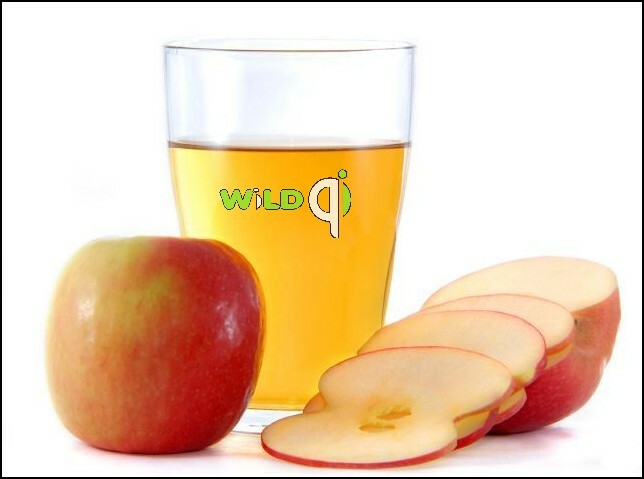 For centuries Apple cider vinegar has been widely used for its health benefits. 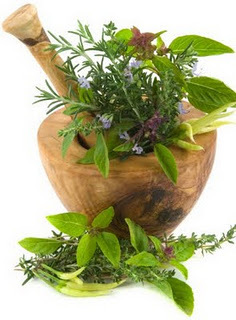 In 400 BC, Hippocrates, the father of medicine, used it for its natural cleansing, healing and energising qualities.The Egyptians used it in 300 BC, and Julius Caesar's army used a vinegar tonic to fight off disease and maintain health. Many recent medical studies document the health benefits. • Apple cider vinegar has been used for everything from helping to support a healthy immune system, control weight, maintain cholesterol levels, balance pH levels, promote digestion, remove toxins, and these are just the internal benefits. When applied externally it is wonderfully effective in supporting healthy skin and hair, soothes irritated skin and helps to relieve muscle pain from exercise. 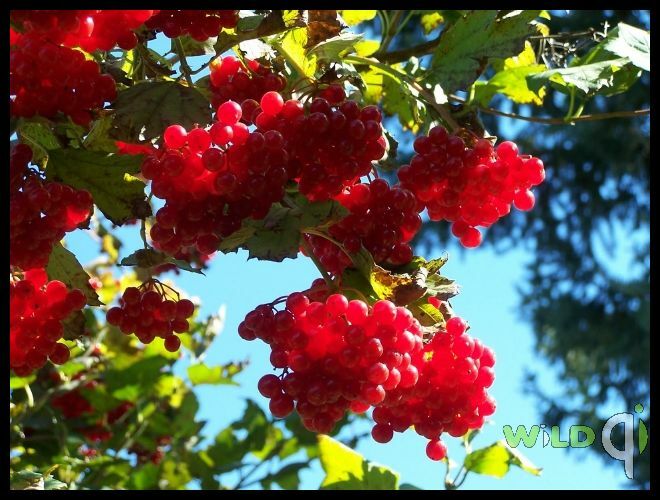 Native people obtained the aromatic resin from the bark and used it as a salve for treating all kinds of cuts, to alleviate sores. These early Americans also consumed the resin to treat all kinds of colds, to reduce persistent coughs and to deal with asthma. also features anti-scorbutic, diaphoretic, tonic and diuretic qualities. The medications made from the Bay laurel are believed to have extremely potent protective and healing effects. Ancient peoples typically drank an infusion made from the leaves for the warming and tonic effect it had on the stomach and bladder. Remedies made from the Bay laurel are mainly used in the treatment of disorders affecting the upper digestive tract and to ease all kinds of arthritic aches and pains. 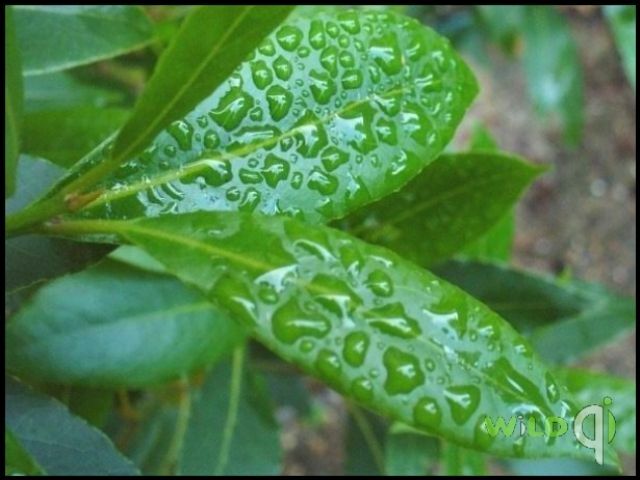 • The Bay laurel also has a tonic effect and is known to have a settling effect on the stomach. It also stimulates general appetite and aids in hastening the secretion of digestive juices in people with digestive disorders. In addition, natural compounds such as eugenol, geraniol and terpineol , acetyl eugenol, methyl eugenol and phellandrene, linalool, a- and ß-pinene are also found in substantial amounts. Leaves also have large amounts of plant mucilage, tannins and resins. • Possibly the most promising benefit from consuming Blackberries is their substantial quantity of phenolic acids which are antioxidant compounds known as potent anti-carcinogenic agents, as well as having numerous other potential health benefits. Phenolics in Blackberries include anthocyanins, ellagic acid, rutin, gallic acid, hydrocaffeic acid, p-coumaric acid, and cinnamic acid plus excellent amounts of the antioxidant vitamins A and C.
Herbalists often suggest blackberry leaf as a general herbal astringent. 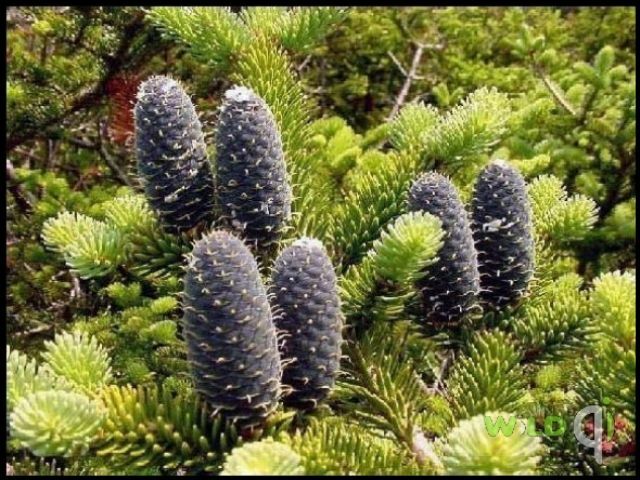 It is used for treating inflammation in the throat and the mouth and in the treatment of non-specific acute diarrhea. 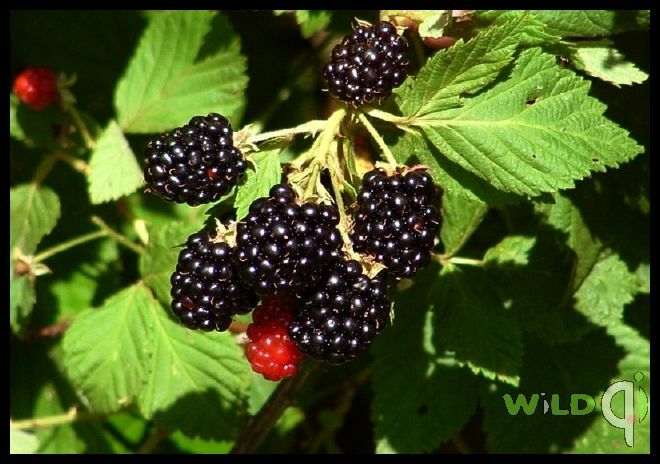 Blackberry leaf contains about 10% hydrolysable tannins (gallotannins, dimeric ellagitannins), and flavonoids. Gallotannins, ellagitannins and flavonoids have also been found in raspberry leaf. Health authorities recommend Blackberries for mild infections including sore throats and mouth irritations. Traditionally, Blackberries have been used to alleviate hemorrhoids because of their rich tannin content. Scientists have also reported anti-tumor properties associated with tannins found in some varieties of Blackberries..They are effective in the treatment of watery diarrhea, weak stomachs, inflamed throat and laryngitis, as well as when applied externally in the treatment of wounds. • We have all heard about the importance of antioxidants in forestalling the aging process. Just as sheet metal left in the elements rusts due to oxidation, your body deteriorates due to the effects of oxidation. Antioxidants fight the process of aging by warding off the diseases associated with old age. Antioxidants neutralize free radicals, which can damage DNA molecules and lead to cancer. They also counteract environmental carcinogens, protect against cardiovascular diease, fight sun damage to skin and may thwart the effects of Alzheimer's and other age related cognitive disorders. Blackberries are among the top ten foods containing the highest antioxidant levels. The properties that are generally associated with the Blueberry include an astringent action, an antihistamine effect and it is also credited to posses anti-microbial as well as anti-diarrheal effects. The permeability of the capillaries with respect to fluids and cellular material seem to be lowered by the action of blueberry .• The berry's power is also believed to aid in normalizing the collagen thickness in the capillaries and to inhibit the aggregation of platelets. These berries seem to stimulate the cellular release of the vasodilator substance prostaglandin into the bloodstream. The Blueberry may help counteract the actions of the enzyme hyaluronidase, this common enzyme is also used by microbes in order to penetrate tissues and infect the body.• The chromium content and the high bioflavonoid content in the fruit may be responsible for the anti-diabetic action. 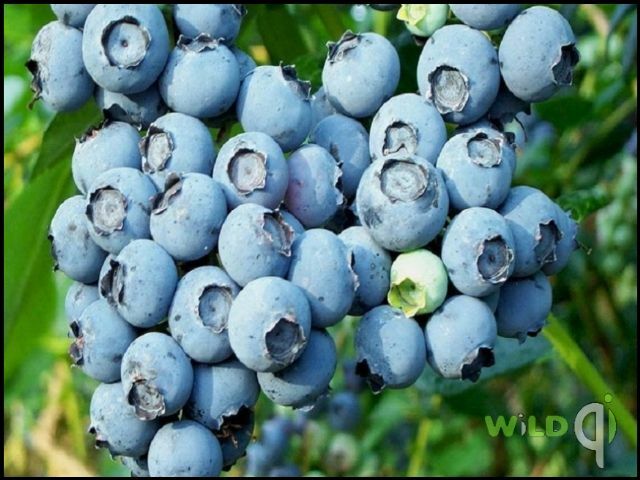 Another potent and beneficial anti-oxidant action is displayed by the anthocyanosides, which are the bioflavonoid complex found in Blueberries. This complex of bioflavonoids aids the body by supporting the normal formation of connective tissue. • Blueberries contain approximately 0.5% by volume of the anthocyanosides, they also contain the vitamins B1 and C, pro-vitamin A, at least 7% by volume is composed of tannins, and assorted plant acids are also seen. The tonic effect of the anthocyanosides on the blood vessels is the beneficial to the entire human body. • Anthocyanoside compounds have been experimentally shown to cause dilation in the blood vessels, and this property makes the blueberry potentially valuable as a treatment for problems such as varicose veins, chronic hemorrhoids and to reduce fragility in the capillary system. 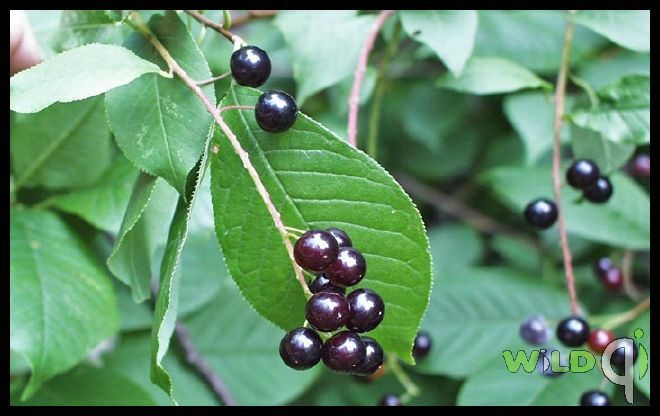 Black chokeberries are composed of significantly high amounts of phenolic flavonoid phyto-chemicals called anthocyanins. Total anthocyanin content in the Choke berries is 1480 mg per 100 g of fresh berries, and proanthocyanidin concentration is 664 mg per 100 g (Wu et al. 2004, 2006). Scientific studies have shown that consumption of berries on regular basis offers potential health benefits against cancer, aging and neurological diseases, inflammation, diabetes, and bacterial infections. (- By Dr. Paul Gross, 2007-07-09). •They also rich in flavonoid anti-oxidants such as carotenes, luteins and zeaxanthins. Zeaxanthin has photo-filtering effects on UV rays and thus protects eyes from age related macular disease in the elderly (ARMD). • Cancer research on anthocyanins, where black Choke berry preparations were first used to inhibit chemically induced cancer in the rat esophagus by 30-60% and of the colon by up to 80%. Effective at both the initiation and promotion/progression stages of tumor development, Choke-berries are a practical research tool and hold a promising therapeutic source, since they contain highest amount of anthocyanins among native North American berries [J. Agric. Food Chem. 50 (12): 3495–500]. Recent studies support the speculation that eating Cranberries or drinking their juice can prevent or fight urinary tract infections. Hippuric acid prevents Escherichia coli (E. coli) from adhering to the urinary tract. Cranberries also contain arbutin, which fights yeast infections. • Proanthocyanidins, fructose, flavonol glycosides, including leptosine, catechin, triterpenoids, organic acids, including citric, malic, benzoic, quinic and hippuric acids, miscellaneous compounds, including Vit. C and an as yet unidentified large-molecular-weight molecule. There are no known side effects with Cranberry concentrate, and it is safe for use during pregnancy and lactation. The active ingredients in Cranberry include chemical compounds called proanthocyanidins. Proanthocyanidins are potent antioxidants that appear to be able to decrease bacterial adherence to the bladder epithelium cells. • The main benefit of this action is that bacteria have less likelihood of grouping together to cause bladder infection, urinary track infections and other related conditions.The active ingredients in Cranberry include chemical compounds called proanthocyanidins. Cranberry should not be used as a substitute for antibiotics during an acute urinary tract infection. Research is already documenting the health benefits of blue Honeysuckle. Researchers around the world are now scrambling to quantify and qualify the extent of these benefits. Recent research reported in the Journal of Agriculture and Food Chemistry, December, 2008, analyzed a phenolic fraction from the berries to determine its nutrients and micronutrients. Researchers determined the content of anthocyanins, with cyanidin-3-glucoside being the most prominent. • Anthocyanins are pigments in the plant from which it gets its antioxidant, anti-platelet, and wound healing abilities. Recent research reported in the Journal of Agriculture and Food Chemistry, December, 2008, analyzed a phenolic fraction from the berries to determine its nutrient and micronutrient profile. Other flavonoids found included the following: Rutin; reduces inflammation, and fights cancer, boosts the effectiveness of Vit. C, maintains blood vessels, and supports collagen so necessary for young, supple skin. Quercetin; neutralizes free radicals to prevent cellular damage, combats cancer, alleviates bruising and varicose veins, enhances cardiovascular health, prevents oxidation of cholesterol, and improves lung health and respiration. Epicatechin; believed by many researchers to be able to prevent four of the top five killer diseases: heart failure, cancer, diabetes, and stroke. They see a shortage of this phenomenal nutrient as a cause of many diseases of modern times. Epicatechin is considered so important to the body that it is under consideration for classification as a vitamin. Protocatechuic acid; is anti-inflammatory, anti-allergic, anti-microbial, anti-viral, and anti-carcinogenic. It is another potent free radical fighter.Genistic acid; is also another potent antioxidant. ins convert in the body into ellagic acid, one of the most powerful antioxidants known, and a powerful cancer fighter. Ellagic acid has the ability to inhibit mutations in DNA, and promote apoptosis (appropriate death) of cancer cells. It also has anti-viral and anti-bacterial qualities. Lingonberry is a rich source of fibers, sugar, vitamin A, vitamin C and magnesium. 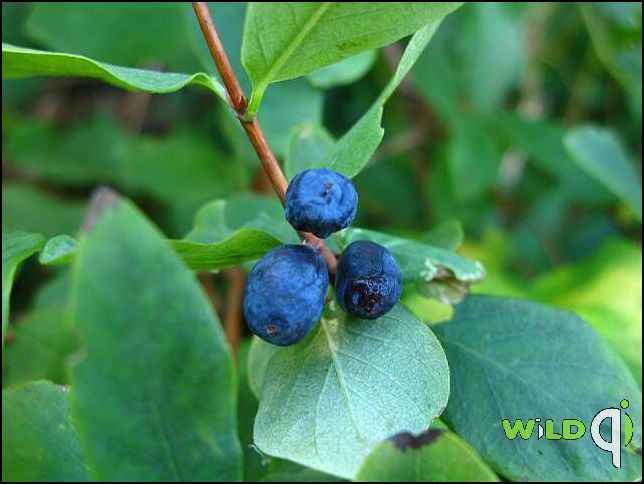 Vaccinium vitis-idaea also consists of large amount of flavonoids and lignans. Lignans and flavonoids are believed to protect cellular replication. 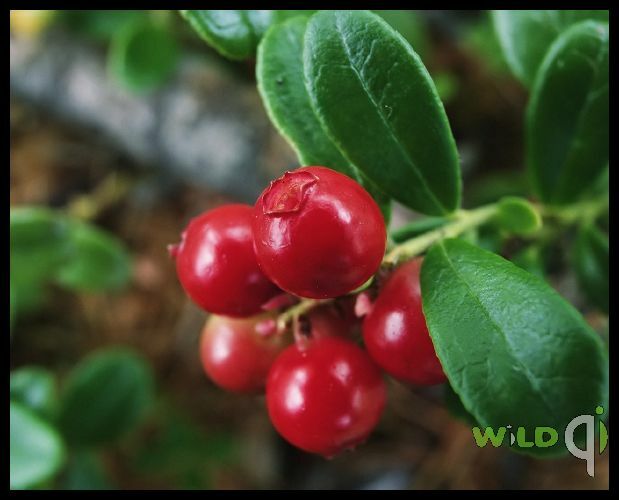 Lingonberry is also rich in benzoic acid, thus, they are often used as antimicrobial agents in food preparations. Arbutin content in Lingonberry is about 4.44%. While, the level of hydrophilic carboxylic acids in Lingonberry is approx. 2.27-3.05%. Measuring the quercetin levels of 25 common edible berries, bog whortleberry has the highest content of quercetin and Lingonberry is at the second place (74 and 146 mg/kg), The total contents of these flavonols in Lingonberry are higher than those in the majority of other regularly consumed fruits or vegetables. • They further reported that Lingonberry extract was able to suppress TPA-induced neoplastic transformation of JB6 P(+) mice cells and Lingonberry extract could also induce apoptosis (death) of human leukemia HL-60 cells in a dose-independent manner. Thus, Lingonberry may benefit people at risk of certain cancers, but more studies are needed to prove this hypothesis. Raspberry leaves are often quoted to be the most famous of all herbs used during pregnancy, as they have relaxing as well as toning or astringent actions, with particular regard to the uterus and uterine muscles. • The fruit contains pectin, fruit sugars, fruit acids and vitamins A, B1 and C. As an antioxidant food containing ellagic acid, Raspberries help prevent unwanted damage to cell membranes and other structures in the body by neutralizing free radicals. 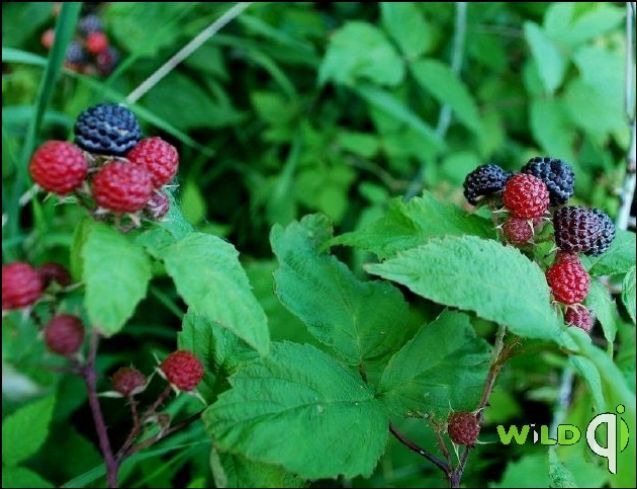 Ellagic acid is not the only well-researched phytonutrient component of Raspberry, however Raspberry's flavonoid content is also well documented. Other key substances include quercetin, kaempferol and the cyanidin-based molecules called cyanidin-3-glucosylrutinoside and cyanidin-3-rutinoside. • These flavonoid molecules are also classified as anthocyanins and they belong to the group of substances that give Raspberries their rich red color. Raspberries' anthocyanins also give these delectable berries unique antioxidant properties, as well as some antimicrobial ones, including the ability to prevent overgrowth of certain bacteria and fungi in the body. The power is in the pigment. Service berries are also known as saskatoons. The fruit contains a few small seeds at the centre, it has a sweet flavour with a hint of apple. A very rich source of flavonoids and one of the highest recorded antioxidant capacities of many fruits and vegetables. Greater than blueberries in many vitamins and minerals including calcium, potassium, iron, magnesium and vitamin E and nearly twice as much fiber and protein.